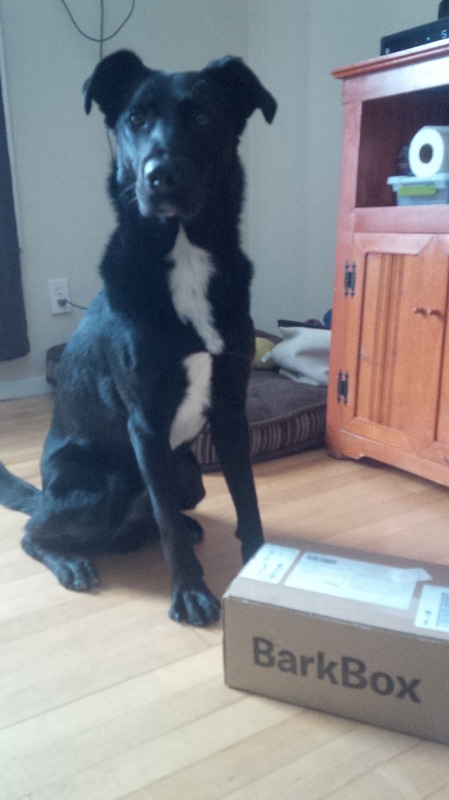 Today a knock at the door announced one of Ranger’s favourite times of the month: Barkbox delivery day! These treats are peanut butter flavoured and contain no wheat, corn, or soy. If that wasn’t good enough, they also add no preservatives, sugar or salt AND the peanut butter is human grade! I can also pronounce every ingredient on the packet. Ranger politely waited for me to get the package open, but for the first time I saw real drool. Is that for me?! Begoodbegoodbegood…. 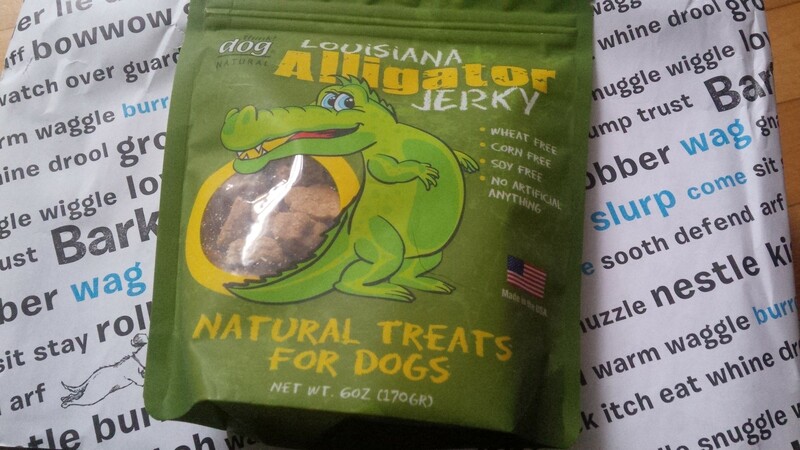 I was interested to see if Ranger would like these considering he’s never eaten alligator before. 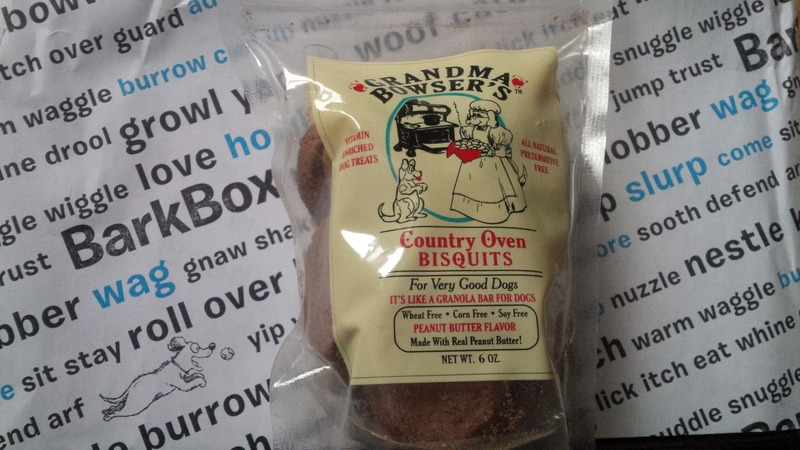 These soft treats are the perfect size for training and contain no wheat, corn, soy, or artificial ingredients. Ingredients are grown/harvested in the USA and the meats are sourced from farms and fisheries within Louisiana. Ranger absolutely adores these treats and I think I’ll be popping a few in my pocket for recall training. A great option for people who have dogs with chicken/beef allergies; now if only I can get used to the smell of them. Toys that can be combined to include treats are always a hit at this house. 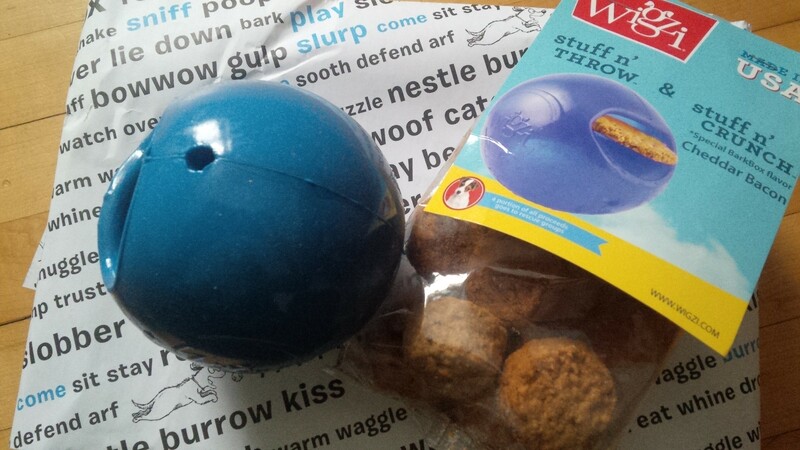 Currently Ranger has two kongs, an orange treat ball, and the BusyBuddy treat toy from last month’s BarkBox (which you can see here). The Wigzi is dishwasher safe, recyclable, and made in the USA. It has two pockets to shove the Stuff n’ Crunch Treats and will bounce AND float. The treats contain no wheat, soy, or articifical colours. I find they’re a little small to stay in the ball, but with all the treats I’ve received from BarkBox I am sure we’ll work it out. 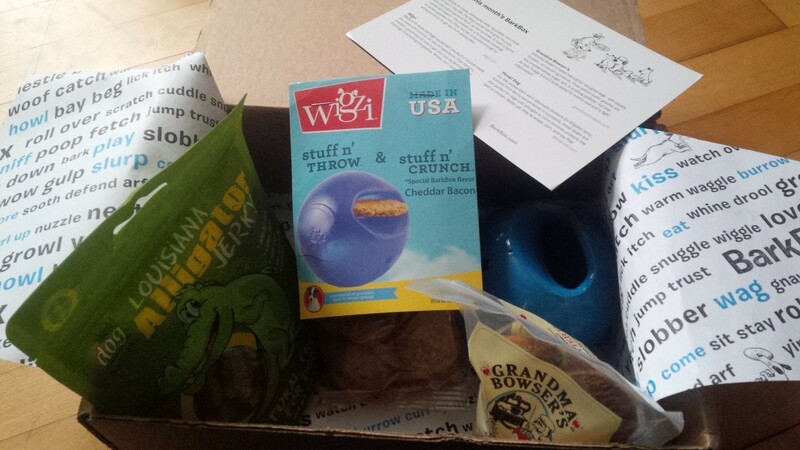 This Barkbox had approximately $32.00 worth of stuff which is way over the subscription price. Everything is going to be used and once again they have prevented me from dashing into the pet store each week to get presents. This entry was posted in Barkbox and tagged Barkbox, Dog Toys, Dog Treats, Janurary 2014, Online Mail Order Subscriptions. Do you pay for the 3 or 6 month up front or get charged each month? I’ve been thinking about getting my own Ranger a bark box subscription but I’ve been holding off until our financial situation is a little better. I believe it’s all at once, so twice a year we’ll be charged. If you were really keen, you could cancel and reorder each time to use another coupon….I can barely remember what I did yesterday lol. I’m definitely going to have to get him a bark box subscription some time soon. I try to keep a good supply of treats for Ranger since he’s underweight. 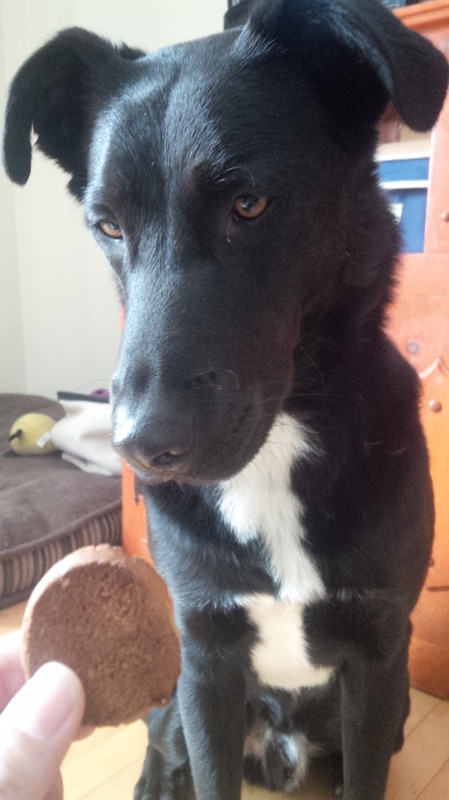 As long as he eats his 3 meals he can have as many treats as people feel like giving him. He even gets treats from people he has never met when I take him with me to the store and they see him waiting in the truck. One place keeps a special package of treats for him- not plain ole milk bones like they give most dogs.